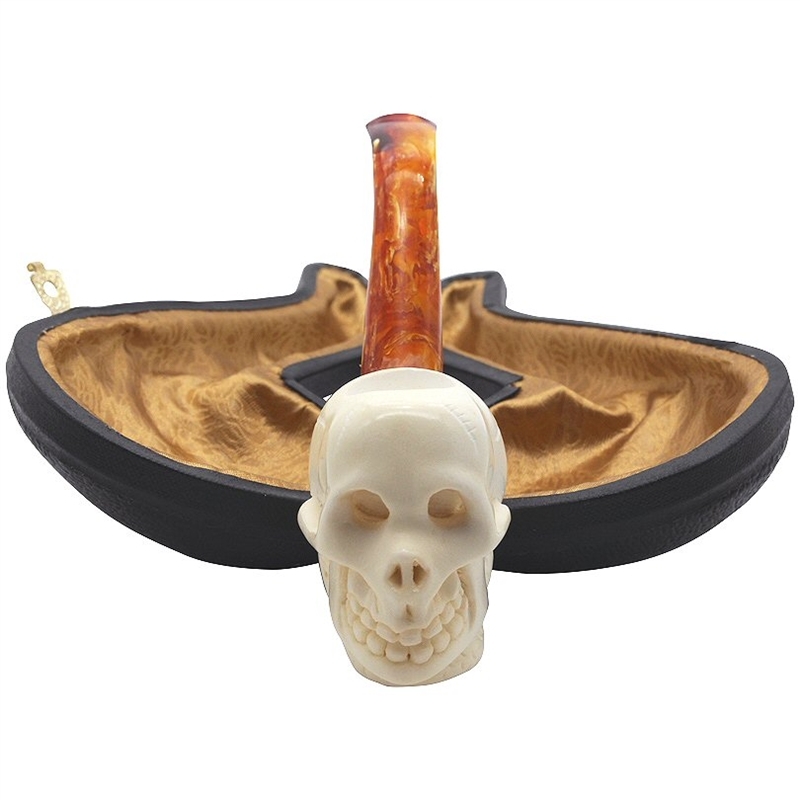 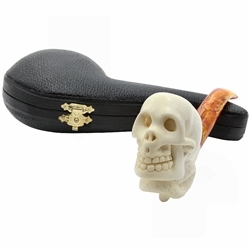 Hand Carved Cevher Signed Skull with Snake Meerschaum Pipe - Skull pipe carved by Cevher has a snake wrapped around its neck. Cevher's signature is on the side of the smooth shank. 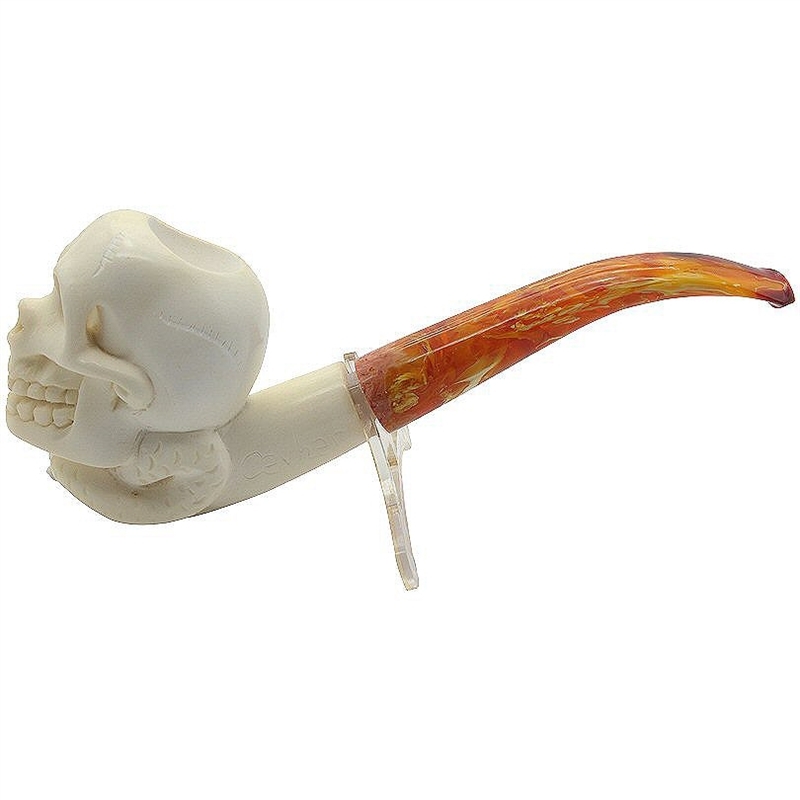 He dipped the pipe in a special wax formula giving it a creamier looking finish. 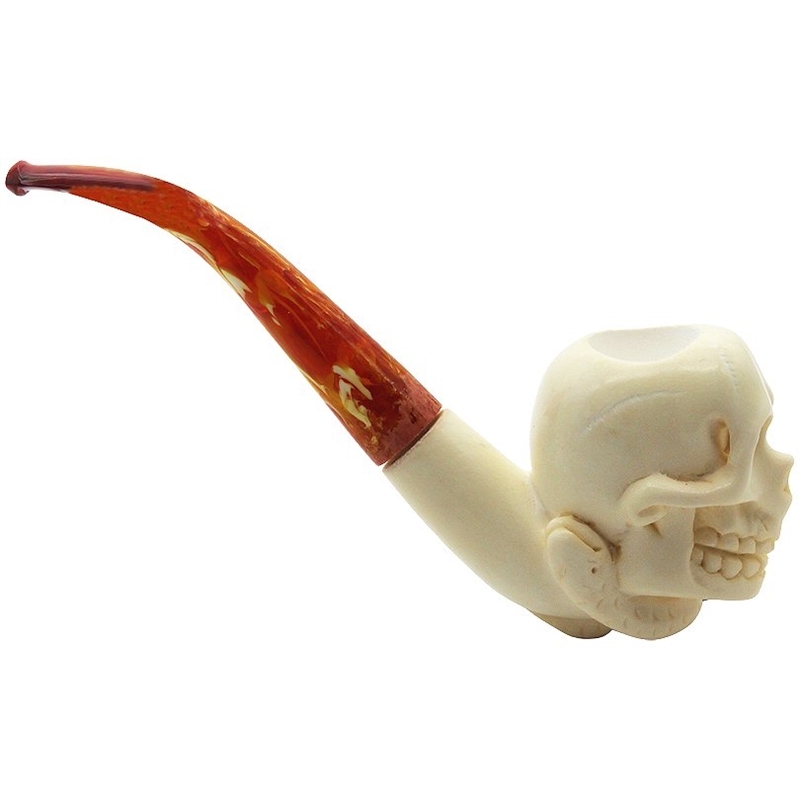 A marbled amber colored bent stem finishes the pipe.